Home / epl / Mo salah "doesn't appear bothered"
Mo salah "doesn't appear bothered"
Liverpool striker Mohamed salah "doesn't appear bothered" by his failure to score in the past eight games, says manager Jurgen Klopp. The Egypt international, who scored 44 goals last season, has 20 this term however none since 9 February. 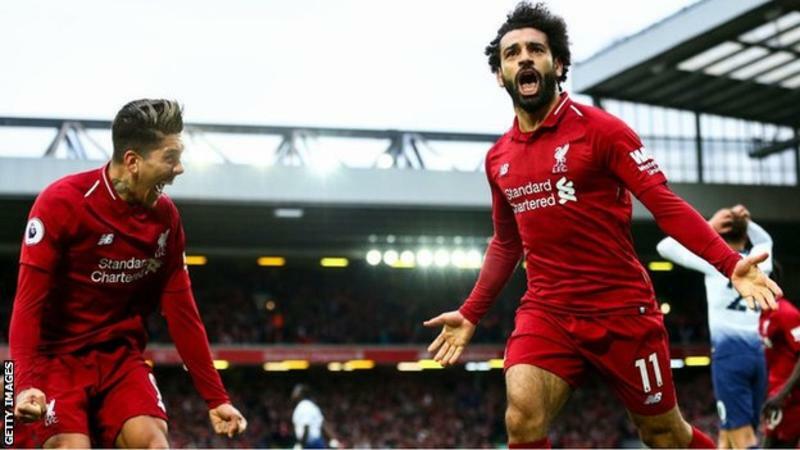 Salah played a key role in Liverpool's late winner against Tottenham in the Premier League on Sunday. "It was an own goal but it was Mo's header which forced it. It felt like it was his goal," Klopp said. Toby Alderweireld scored a last-minute goal at Anfield after Spurs keeper Hugo Lloris parried Salah's header into his path. Salah's most up-to-date goal came in the 3-0 home league win over Bournemouth. "How do you deal with a situation when he scored 40 goals last year?" Klopp said. "His career's not over! It's like if he can score this year 20 goals then he's scored 60 in the last two. Wow, that's not too bad! "If you've got just one (goalscorer), maybe you rely a bit too much on that. This year we don't rely on Mo's goals, however he's still in a superb position in comparison to all the other players. "It's about work-rate, doing it again and again, and one day the ball will bounce in your direction." Victory over Spurs took Liverpool 2 points clear at the top of the table with six matches remaining, though second-placed Manchester city have a game in hand. "We have 79 points - you can't have that if you have major issues in a season," Klopp said. Liverpool visit Southampton on Friday.